*Other Mission Pages: El Salvador LDS Missions. Here’s a recent address for the El Salvador Santa Ana Mission. We try to keep this info up to date, but it’s a good idea to check the address with several sources, including your mission packet or the mission office. Here are in-depth YouTube video interviews with returned missionaries from the El Salvador Santa Ana Mission. We interview hundreds of returned missionaries each year, so check back regularly to see new RM interviews. Here are LDS-friendly educational videos about El Salvador. We scoured YouTube to find the best quality videos about El Salvador, that are free from inappropriate music, immodesty and profanity. Here’s a list of LDS missionary blogs for the El Salvador Santa Ana Mission. This blog list includes the missionary’s name, URL and when their blog was updated. 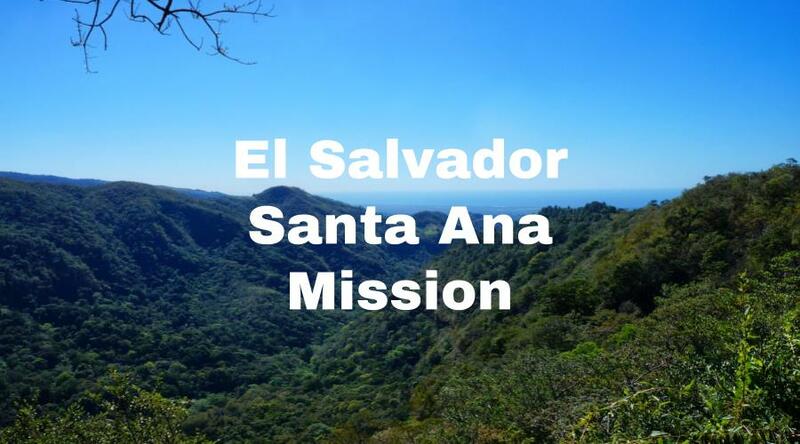 Here are El Salvador Santa Ana Mission Groups- for LDS missionary moms, returned missionaries, mission presidents and other alumni of the Santa Ana Mission. 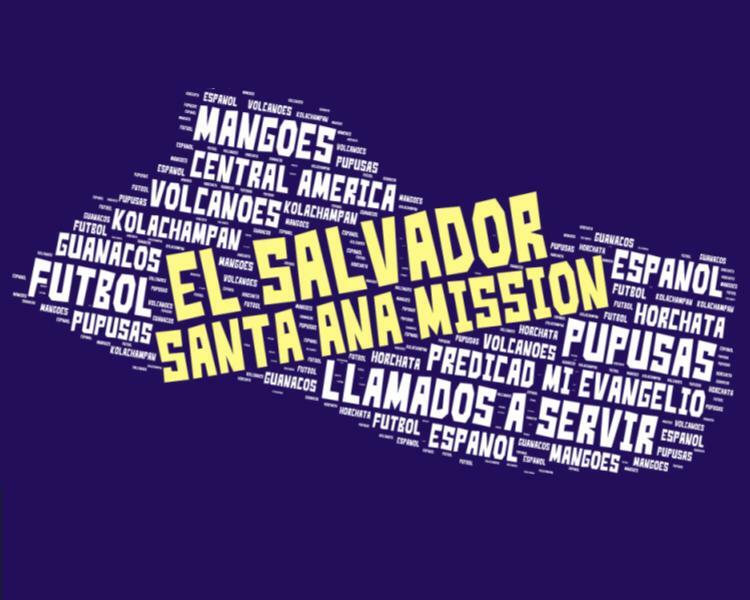 Here are T-shirts for the El Salvador Santa Ana Mission! 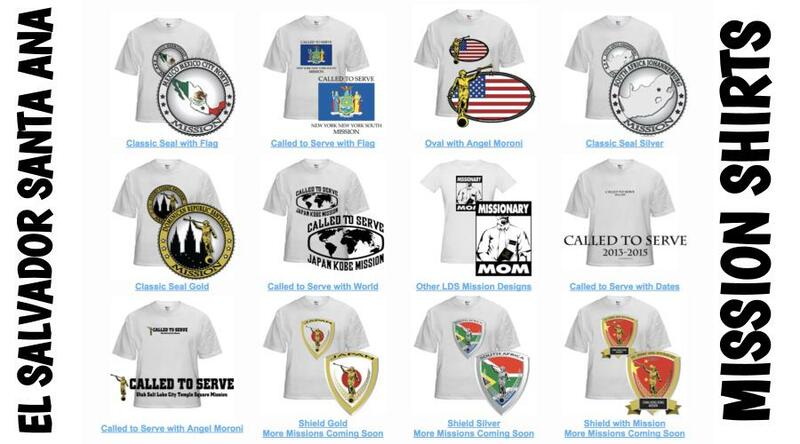 Shirt designs include El Salvador Santa Ana Mission logo/emblem shirts and Called to Serve shirts. The shirts make great gifts for pre-missionaries, returned missionaries and missionaries currently serving. LDS Mission shirts come in all sizes: Small, Medium, Large, Extra Large, up to 4XL. The mission designs are printed on white shirts and are shipped to you. *Simply click on a shirt design to view the details and submit an order. The designs on mission t-shirts may also be printed on other LDS mission gifts, including: El Salvador Santa Ana missionary aprons, Christmas stockings, ties, pillow cases, teddy bears and Christmas ornaments. Here’s a list of current and past Mission Presidents of the Santa Ana LDS Mission. Here are survey responses from El Salvador Santa Ana RMs, to give you a snapshot into what it’s like to live in the mission. What are some interesting facts about the Santa Ana Mission? Any advice/testimony for pre-missionaries going to Santa Ana?